Silverton is a small village at the far west of New South Wales, Australia, 26 kilometres (16 mi) north-west of Broken Hill. At the 2006 census, Silverton had a population of 89 . We based ourselves in Broken Hill and drove to Silverton to look at this historic village and have lunch at the famous Silverton Hotel. They serve meals all day which suits us as we are often not ready for lunch until 2:30 or 3 pm. The Hotel has quite a few funny sayings and poems hanging from the ceiling (interesting reading over lunch) and a large covered beer garden with a play area for children. You should try the pub challenge which is a bit of fun with all money goes to charity. There are several art galleries in the historic buildings around this village and the Mad Max Museum is a popular stop. There are several other museums around this small tourist village, as well as some interesting sculptures. The road between Broken Hill and Silverton is full of dips - try and count them. have you been to Silverton? I would recommend a visit to the Silverton Outback Art Gallery. You can walk to it after a visit to the Silverton Hotel. The gallery has some great pieces that capture the culture of the region. I especially liked the emus painted by Peter Browne, even on the old VW outside. 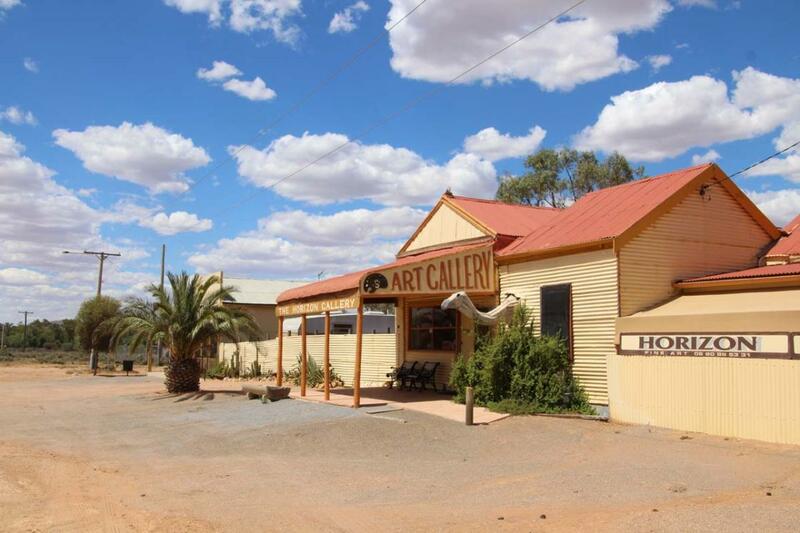 Silverton NSW - comments & tips by RvTripsRvTripsI would recommend a visit to the Silverton Outback Art Gallery. You can walk to it after a visit to the Silverton Hotel. The gallery has some great pieces that capture the culture of the region. I especially liked the emus painted by Peter Browne, even on the old VW outside. Explore Silverton with RvTrips and find out where to stay, what to do and what to see. Helping caravan, motorhome and camper owners have a great holiday.